Goat’s milk soap is fabulous for both face, body & hair! It’s extremely moisturizing and nourishing. It contains no harsh artificial chemicals but does contain healthy oils and fats for healthy skin and hair. Have trouble with dry skin? Goat’s milk soap is especially great for those prone to dry skin. It’s gentle on sensitive skin, natural bars are great for infants too! Naturally moisturize your dry or sensitive skin with goat milk soap. Essential oils are all organically cultivated, grown and produced and are free from pesticides and chemical fertilizers. They are not tested on animals and all are WHO GMP (World Health Organization Good Manufacturing Practice) certified! Fragrance oils are phthalate and paraben free! Ingredients are always organic when possible, additives are sometimes harvested/wild harvested off our own farm. Milk comes straight from our healthy dairy girls. No fillers ever! Goat’s milk contains many vitamins including Vitamin A. Vitamin A helps tissue rebuild itself and helps smooth wrinkles! 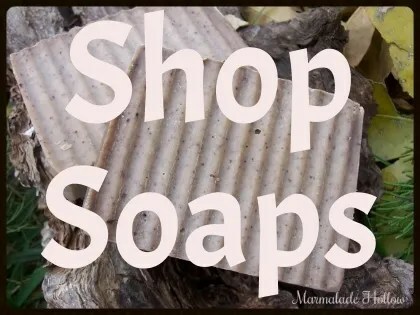 Soaps made with oils high in Vitamin E such as grape seed oil or sunflower oil is also excellent at repairing and also extremely moisturizing! Looking for a specific scent or additive or combination? Let me know, I can custom mix batches! We use our soap each and every single day. Recipes we use have been tested over the years. In 2007 I joined a group of wonderful ladies and teachers to learn soap making and have loved it ever since! 1-12 bars can ship First Class or Priority Mail in a flat rate padded envelope within the US for just $6.15! LOCAL PICK UP IN HUTCHINSON, KS. IS ALWAYS WELCOME TO SAVE YOU SHIPPING! So where is it that I buy these soaps? Kathy, I sell these from the farm for now. I will email you with further details =). The strawberry is awesome. I got started on it and have not tried anything else. I will give some of the others a try but for now I just really like the strawberry. Please let me know if I may contact you by phone. We have several special needs in soap allergies and autistic child with severe sensory issues and its very difficult for me to find email time! Lol thanks so much, also we are a buy in bulk famiy so we are interested in quite a lot. Have a wonderful New Year!!! Where are you located? I am in Willowdale Kansas. We’re in Hutchinson, Ks. I am happy to ship. HI there Marmalade Hollow!!! Love your site.